2019 marks the start of an exciting new partnership for the Bella Mare family. To find out more, please read our blog. in the beautiful gardens of Bella Mare.
. Pastel colors, wooden surfaces, handpicked furniture and luxurious amenities exude a feeling of discreet luxury in the atmosphere, while the gorgeous view to the swimming pool and Avlaki beach complement the perfect vacation scenery. 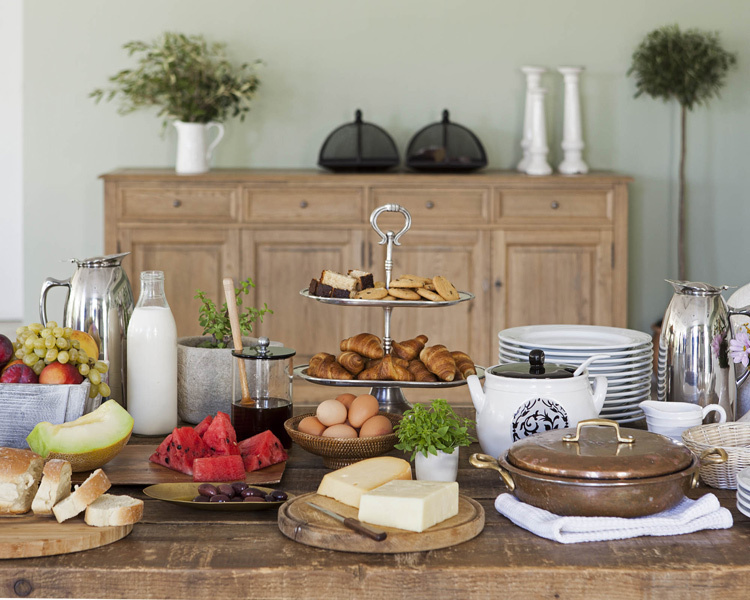 From the beautiful terrace, guests can boost their morning energy by savoring their luscious buffet breakfast, overlooking the sweeping vistas of the turquoise Ionian sea and the Corfu green countryside. The gorgeous, large swimming pool of Corfu Hotel Bella Mare invites you for refreshing dives and aquatic bliss under the Ionian sky, counting hours of summertime relaxation by the pool, getting spoiled at the comfort of the sun lounges or under the shadow of the umbrellas. 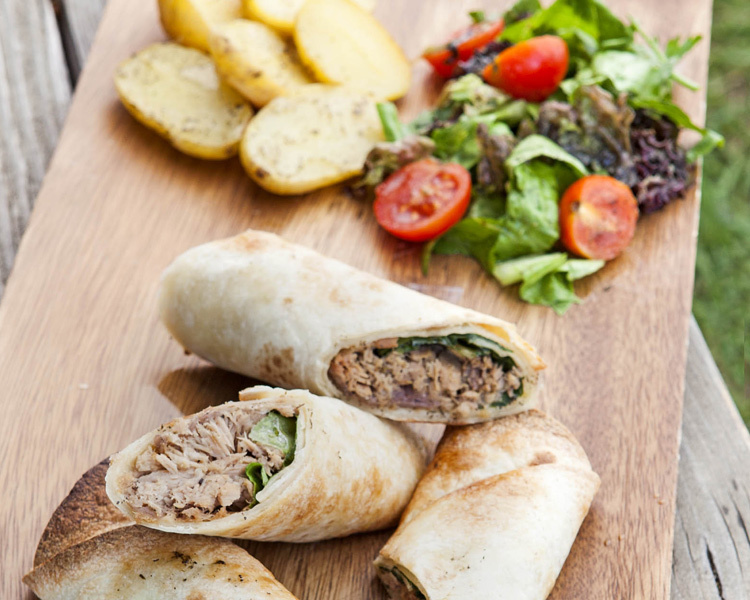 A poolside snack bar is also available to satisfy your appetite with handmade, delicious and healthy snack food prepared by the hotel’s chef and quench your thirst with fresh juices, drinks and signature cocktails. If you feel like stop lazing around at your Corfu luxury hotel premises, a variety of interesting activities nearby, such as horse riding, sailing, windsurfing and other water sports, will satisfy even the most adventurous guests, just a few meters away from Bella Mare Hotel, at Avlaki beach. Either you wish to surrender in the most relaxing holiday experience, discover Corfu history or explore the thousands of beauties of the island, Corfu Hotel Bella Mare is both your ideal starting point and your perfect small luxury resort for summer relaxation in Greece. Bella Mare is just marvelous for relaxation ! The location is at the most beautiful part of Corfu. A private garden next to the private beach surrounded by green olive trees and cypresses. From a large infinity pool you look directly on the clearblue coloured water, like a temptation for your eyes. "Hi everybody! We would like to thank you for the wonderful time in your hotel. We really enjoyed the good service. Best holidays I have ever had in Greek Island.Corfu is super, and bella mare is the best corfu hotel !!!" Very nice hotel, friendly helpful staff, on the beautiful beach Avlaki. Comfortable rooms with lVery nice hotel, friendly helpful staff, on the beautiful beach Avlaki. Comfortable rooms with lovely view at the beach.vely view at the beach. Bella mare corfu hotel was a great place to stay! Thank you so much for a very fast and friendly service. You made us feel at home. You had anticipated all of our needs and exceeded our expectations! 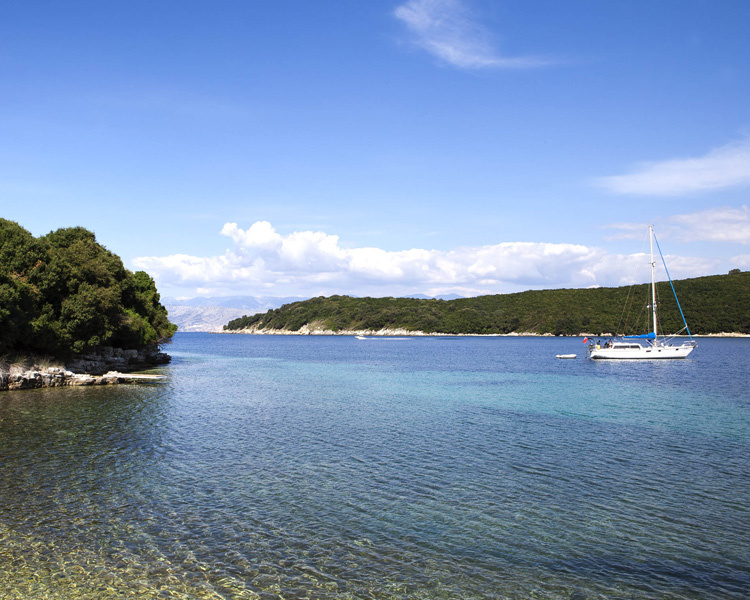 Corfu is full of history and great places to eat and lots of gorgeous beaches. A collection of thoughts, articles, and photos about for those who are interested in life in Corfu and its corfu, taste, culture, history, beaches and more. Don`t forget to leave your comment. 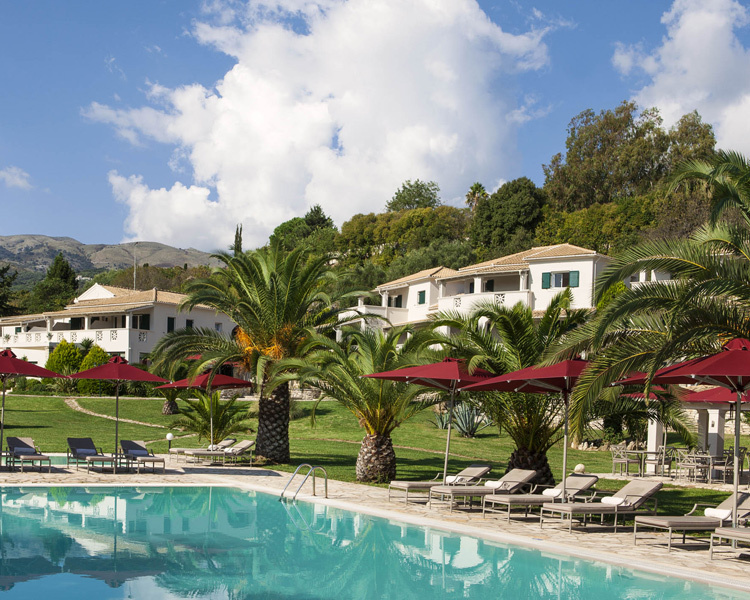 Bella Mare is set in a magnificent scenery, right on Avlaki Beach, one of Corfu's best beaches. Bella Mare has a huge pool, well equipped with comfortable sun loungers and umbrellas and is complemented by a separate children`s pool. Corfu is so different from other Greek islands, impresses with its climate, architecture and nature. This island is painted in a variety of colors, mostly in turquoise and the blue colors of crystal Ionian sea , yellow and orange by its lemons and oranges trees ,and in all shades of green painted by olive groves and in surrounding hills. It offers the best summer climate, sandy bays; interesting monuments, well-developed tourist infrastructure and the carefree, friendly atmosphere that attract tourists from all over the world. Bella mare hotel is the perfect place for your holidays. If you're looking for a place that charms you not only with the beautiful landscape but also hospitality and many tourist attractions. Bella Mare apartments can be your best choice. Apart from that, spending your holidays in one of our apartments on the beautiful Avlaki beach can give you a moment to take a breath so you can enjoy the amazing natural surroundings. For these reasons, you can consider the Bella Mare hotel as your holiday destination. If you are looking for one of the best Corfu hotels, Bella mare is for you.